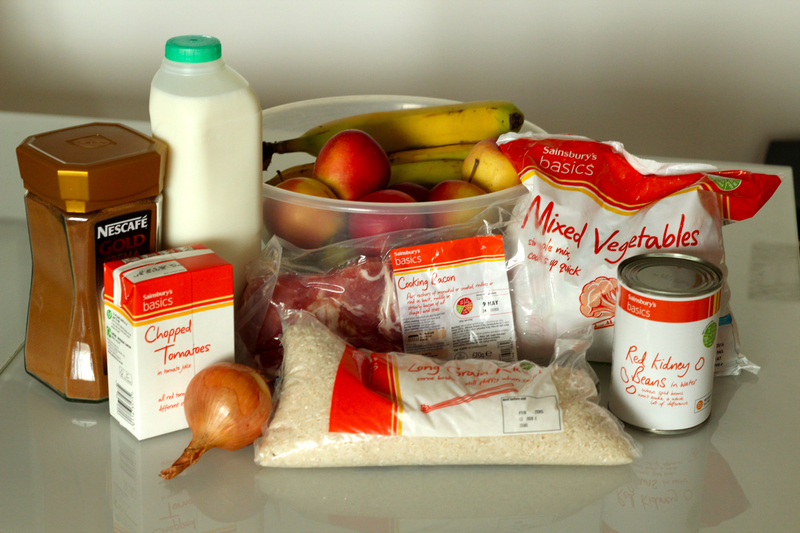 #WhitechapelForTheWin – 7 bananas and 6 apples for £1! So my first difficulty. I made a near-fatal miscalculation today in procuring my fruit. I wandered down Whitechapel High Street thinking the market was open today. It’s not. You would think I would know that after 5 years living in the vicinity. I didn’t. Cue panic run to Brick Lane to find the fruit-bowl seller wasn’t in his usual spot in front of Beigel Bake. But when one is faced with the prospect of no breakfast for 5 days, one does not give up. 15 minutes of battling through the achingly-hip Sunday swarms and I find him just packing up his stall in a corner of the carpark behind Shoreditch High Street station. Hallelujah! There’s just no room for error when you are counting every last penny. 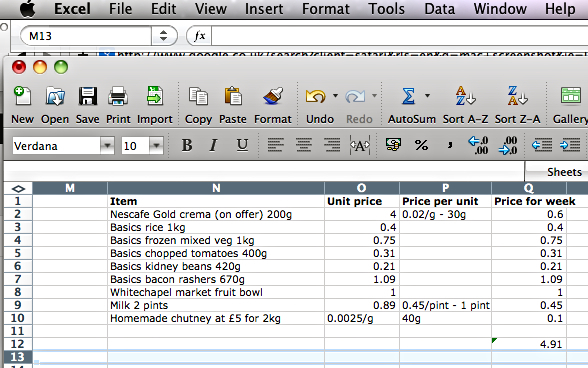 Therefore I have tallied the costs of everything I consumed last Monday to Friday (8-12 Apr) and matched that amount. £76.99, since you ask. I know! What did I eat?! 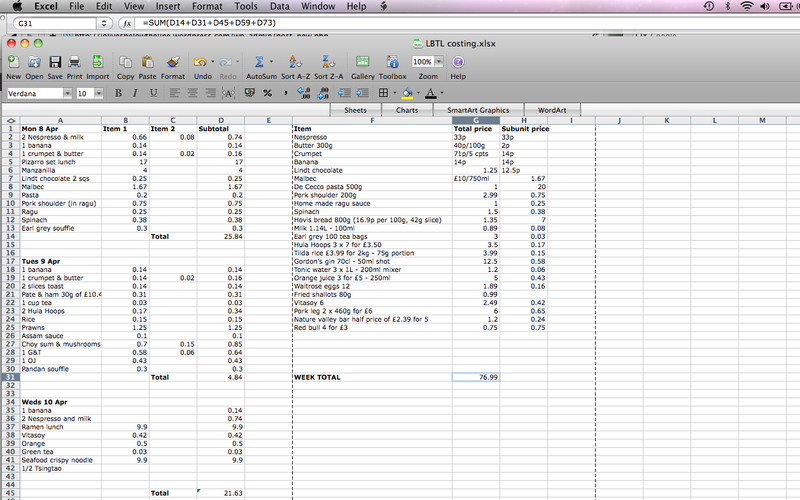 It was an average week, not particularly spendthrift, with only 3 meals out: 2 costing <£10 each and 1 costing £21. So every day this week, accompanying a breakdown of everything I actually ate, will be a head-to-head comparison with what I ate the same day last week. OK, 15 minutes left until midnight. Gotta go. Time for one last face-stuffing session. Wow … cutting back to basics. It’s really made me think. Feast laden dreams for you this week :). 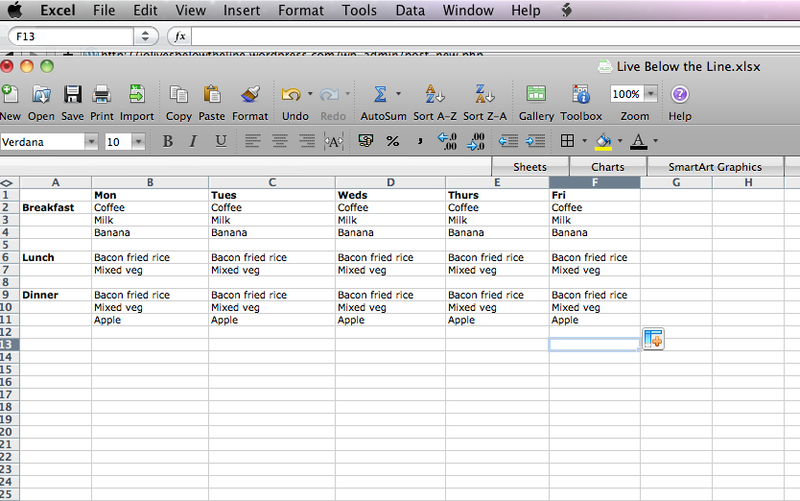 I’ve really wanted to do this for a while now.. would it be terrible to just copy your food diary? Good on you for doing it! I would be most flattered if you did copy my food diary, although I can’t imagine it meeting your high standards. Please let us know if you do the challenge. I would love to see what you come up with!